If I’m rolling a die and taking the mean I want to know what to expect. Maybe I don’t trust analysis and I’m not hugely patient. I got a ‘1’. Yours might be different. Let’s try again: 4. Then 1, 2 and 5. So what’s the mean? It’s 2.6. From this result, when a die is rolled, I should expect it to be 2.6. This time it’s 4.2. That’s different. What if we repeat this trial a few times? 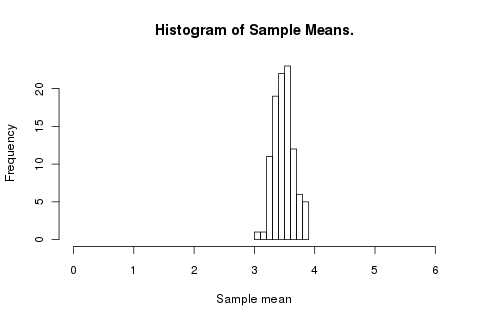 The mean isn’t changing but the variance is decreasing. How does the trend look? 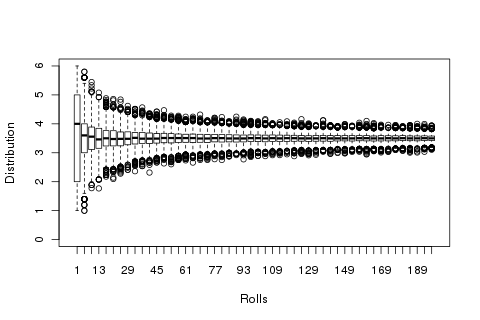 For each number of rolls 1 to 200 (every fourth number) we run that trial 4,000 times and make a box plot of the distribution of results. 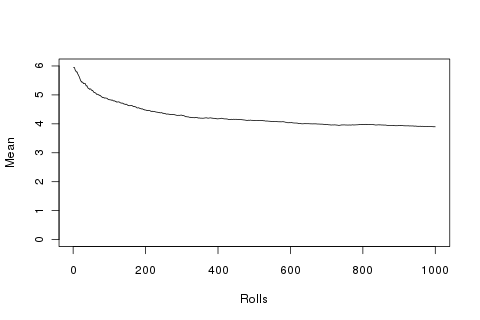 By the time we’re rolling 100 times before calling the average we can be extremely confident that our result will lie between 2.5 and 4.5. It’s exactly 3.5. 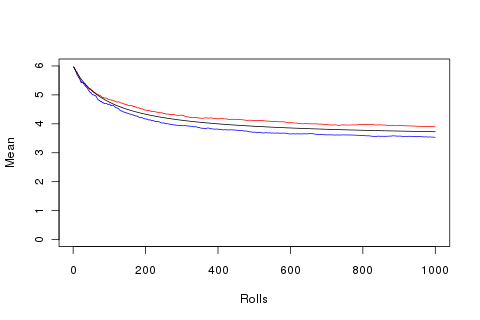 But, as this shows, the mean of a series of rolls will only tend to that value. And if that lucky initial run had been all 2s? 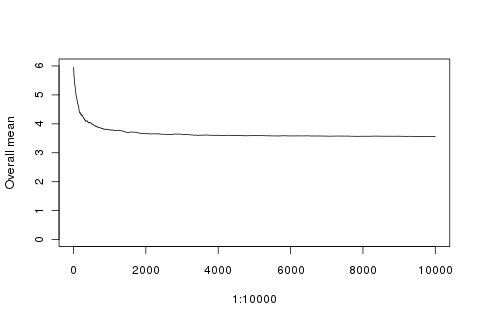 Those are just two possible sequences after the inital runs. It’s possible that, even for a fair die, we’d continue to get more sixes. Let’s keep rolling, again and again, and take the run with the highest mean. 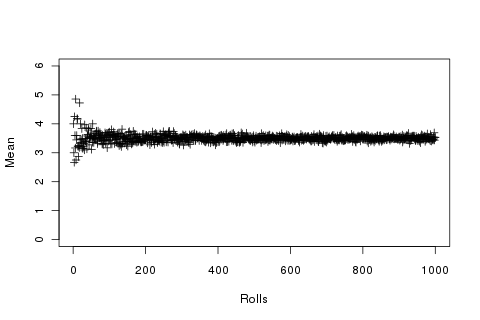 So ten thousand attempts to get the best and worst sequence of 1000 rolls adds up to not a huge difference. 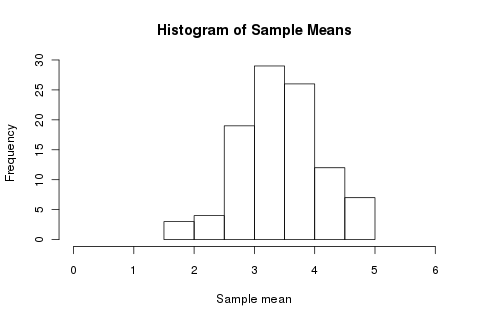 It’s easy (and fun) to misuse statistics. There are also plenty of concepts, great results, and reminders of orders of magnitude to learn from, and R is a great tool for quick experimentation.